Israel continues its criminal policy of repressing the truth and silencing voices that reject its policies in occupied Palestine. It is trying to throw all free voices of writers, academics, politicians and journalists into its prisons in an effort to silence their voices. 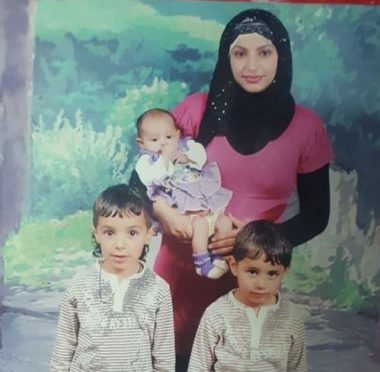 On Friday, the Israeli occupation forces arrested journalist Lama Khater from her house in Hebron, snatching her from her husband and children at night in an attempt to silence her voice and break down her strong pen. The head of Palestinian Journalists Union Ahmed Zughbur stressed that the arrest of Lama Khater is a miserable Israeli attempt to mix the cards and silence the truth and suppress all free voices, noting that journalist Khater highlighted in her writings the plight of the Palestinian people everywhere and their right to resistance. Zughbur notes that the arrest comes in line with the decision to ban Al-Quds Satellite TV Channel by the occupation to silence the truth and to continue the Judaization and settlement and the annexation of Palestinian lands. “Her detention is completely devoid of all human meanings by extracting her from among her children. It contradicts all principles of human rights and protection of journalists,” Zughbur said, urging all concerned Arab, local and international institutions to intervene to stop this Israeli arrogance. He called on all Palestinian journalists, press bodies and institutions to raise their voice in solidarity with their colleague Khater, indicating that his group will begin today sending several letters to various bodies urging them to pressure the occupation to release her. By arresting journalist Lama Khater, the Israeli occupation raises the degree of attacks on journalists and media in an unprecedented manner. The head of the Palestinian Government Information Office in the Gaza Strip, Salama Maarouf, said that last month saw an increase in the frequency of attacks against Palestinian journalists. He noted that by arresting Khater, the number of Palestinian journalists held in Israeli jails increased to 24, 6 of whom are sentenced, 5 are placed under administrative detention and 12 journalists are held in custody, including five female journalists. He stressed that this escalation by the occupation towards the press movement makes everyone face a serious challenge and responsibility, calling for the formation of the largest pressure group including local, Arab and international bodies, against the Israeli occupation to release these journalists, and to establish a lobbying advocacy and popular group to exert pressure in favor of journalists. The head of the Palestinian Media Forum, Imad Al-Efrangi, believes that Palestinian journalist and activist Lama Khater has disturbed the occupation by her writings and her free voice, pointing out that her arrest comes as part of a campaign against Palestinian journalists and writers. He noted that the arrest of Khater comes in the context of a campaign to silence voices, which includes banning Al-Quds channel and the arrest of journalists, stressing that this will not silence their voices, and that Palestinian journalists will remain armed with their pens and cameras and free voices. The head of the Palestinian Media Forum paid tribute to the captive journalist Khater, pointing out that this arrest will not diminish her determination and will make her raise her head high, shattering the arrogance of the Israeli occupation. He called on the Palestinian media to shed light on the practices of the occupation against writers, journalists and intellectuals, calling for organizing campaigns of solidarity with journalists and writers, and adopting a strong Arab position to expose the crimes of the Israeli occupation against journalists. 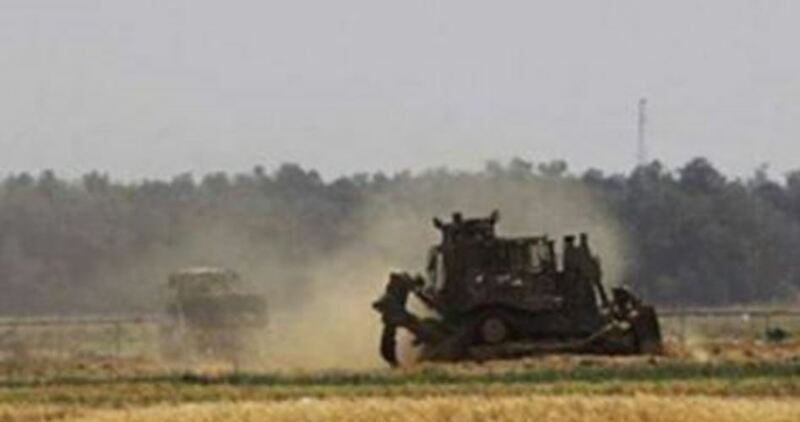 Several Israeli military bulldozers on Wednesday morning entered a Palestinian border area east of Gaza City, amid intensive gunfire. The Palestinian Information Center (PIC) in Gaza said six armored bulldozers infiltrated limitedly into the eastern border area of Gaza City. The PIC added that there were drone overflights and intensive shooting during the incursion. The bulldozers are now embarking on leveling and digging land on the Palestinian side of the border fence. The UN refugee agency UNRWA will not renew the contracts of around 113 employees in the Gaza Strip, a spokesman said on Wednesday. “UNRWA will not renew the temporary contracts for 113 Gaza-based employees in the agency’s emergency program,” Sami Mshasha told Anadolu Agency. He said the contracts of those employees are already set to end by the end of this month. “UNRWA will not sack them. Rather, it will not renew their contracts,” the spokesman said. Last Monday, UNRWA employees staged an all-day sit-in inside UNRWA headquarters in Gaza City and outside the office of UNRWA Director of Operations Matthias Shamali. According to the UNRWA’s Staff Union, the Agency has closed its mental health programme, which was providing direct services to Palestinian refugees and employing about 430 staff. UNRWA has also terminated the contracts of dozens of its engineers in recent months, the union officials said earlier. The Union stated that the UNRWA’s decision to sack its employees is an initial step to dismiss a thousand employees of the emergency programmes by the end of 2018, adding that next year is witness a new wave of dismissals under the pretext of a budget deficit. Established in 1949, UNRWA provides critical aid to Palestinian refugees displaced since 1948 and who are now living in the blockaded Gaza Strip, the Israeli-occupied West Bank, Jordan, Lebanon and Syria. Earlier this year, the US suspended over half of the annual funding — $65 million out of $125 million — earmarked for the refugee agency. There is no “credible” peace plan for the conflict between Palestinians and Israelis, the President of the United Nations Security Council, Olof Skoog, warned yesterday. The Swedish envoy, who is the current rotating president of the council, added that the violent escalation in the Gaza Strip in the recent weeks is “deeply worrying”. He stressed on the “urgent need for humanitarian aid deliveries” to Gaza’s residents, calling on Israel to “immediately” lift its blockade on the territory. “The United States have been talking about unveiling a new peace plan for nearly a year, we haven’t seen one yet,” Skoog pointed out. “It is a problem that there is no credible plan on the table,” he warned. Israel’s Defence Minister, Avigdor Lieberman, has issued a video calling on Palestinians in Gaza to overthrow Hamas in order to turn “the refugee camps into the Singapore of the Middle East”. The video, which was spoken in Hebrew with English subtitles, was distributed by Israel’s Office of the Coordinator of Government Activities in the Territories (COGAT) yesterday and circulated on its social media outlets. The message will raise eyebrows in light of Israel’s ongoing siege of the Gaza Strip which has routinely deprived the enclave of access to water, power, medical supplies and medication. The Strip has also strangled the Gazan economy, with reports earlier this month showing that up to 80 per cent of factories in the territory have shut down, leaving 300,000 Gazans unemployed. The video also comes amid Israel’s closure of the Kerem Shalom (Karm Abu Salem) crossing. Situated on the southern tip of the Gaza Strip, the crossing is the only commercial route in and out of the territory and is a vital source of food, aid and commercial goods. Last week, gas distribution companies in Gaza announced that the Strip had run out of cooking gas reserves following the closure of the crossing. Head of the Popular Committee Against the Siege, Jamal Al-Khodari, yesterday said the move was causing “the gradual collapse of the industrial and commercial sectors in the Strip.” The reopening of the crossing has been tied to the maintenance of quiet in Gaza after an escalation in tensions over the weekend. It is indeed a good comparison, although in Syria it is a case of a regime killing its own people, while in Palestine it is a colonial-settler government killing the indigenous people. Nevertheless, in both cases, the regimes in question are killing civilians indiscriminately, and both glorify the killers and vilify the victims. The Syrians, though, are more true to themselves, unlike the Israelis. The former never claim that they are “the only democracy” in the Middle East and the bastion of European civilisation in a rough neighbourhood. The Assad regime in Damascus is willing to do whatever is necessary to stay in power; the Israelis, meanwhile, boast that they are the “Chosen People” and on a mission given to them by God Himself to cleanse the land of Palestine from its own people and set up a “homeland” for the Jews. In their mindset, the Palestinians should be obliged to them. What’s more, not only do the Israelis want a licence to kill the Palestinians with impunity, but they also want them to keep silent while being killed and preferably be thankful. Zionism and its offspring, the state of Israel, have created and popularised a narrative that justifies their occupation of Palestine and the ethnic cleansing of its people. Israel and its influential lobbyists in the West have managed to convince international organisations to turn a blind eye to breaches of International law, and even legalise the state’s criminality. Thanks to a compliant media and the purchase of political power, especially in the US Congress, many people are now convinced that it is the Palestinians who are trying to take Israeli land, as if victim status is something reserved exclusively for Jews. With the emergence of social media, a new window of hope opened for all those who suffered from the Zionist monopoly of the mainstream media. Palestinians and their supporters have grabbed the opportunity to give a voice to the voiceless, a people long forgotten and marginalised. For the first time in decades, the real victims’ message has been heard across the world, with people in Europe and elsewhere able to find out what is really happening in Palestine. Public opinion has thus started to change in favour of the Palestinians, albeit gradually. More European parliamentarians, journalists and activists of all faiths and none, including Jews, now speak up for the people of Palestine and condemn Israel’s occupation. For its part, Israel is striving to marginalise and criminalise these voices. It has even convinced some Western governments to conflate support for the Palestinians with anti-Semitism, which is outrageous. However, Israel’s main battle is with those who undermine its colonial narrative; those who report Israeli atrocities on the ground, and expose their dark side. It is targeting journalists, social media activists and whoever else happens to be there and is willing to speak out. Numbers tell the whole story: since 2000, Israel has killed at least 39 journalists in the occupied Gaza Strip and West Bank, 16 of whom have been killed in the past four months alone. Israeli security forces have physically assaulted 64 journalists among 186 other violations against media personnel in the first six months of this year; 30 have been detained. Since 2008, Israel has bombed around 50 media facilities in Gaza. In 2017, the Israeli occupation forces committed more than 2,100 violations against journalists, including mass detentions, especially during clashes with Palestinians. It is more than fair to assume that all of these actions have been supported by Israeli Prime Minister Benjamin Netanyahu and his government. Israel’s claim to hegemony extends to social media, particularly Facebook. Many Palestinian activists have been arrested and charged for their opinions against the occupation expressed on their personal Facebook pages. Indeed, activists around the world have seen pro-Palestine posts censored and removed by Facebook staff. No such measure have been taken against pro-Israel Facebook users even though many posts incite violence against the Palestinians. The fear in Israel is that individual crimes by its armed forces and illegal settlers will be caught on camera and circulated on social media. This happened when Abdul Fattah Al-Sharif was shot in the head as he was already wounded and incapacitated on the ground. Israeli soldier Elor Azaria was convicted of manslaughter — he took deliberate aim and shot him in the head — but was sentenced to just 9 months in prison, much less than the punishment given to Palestinian youths for posting their opinions on Facebook. Azaria received support from senior Israeli politicians and officials, including the Prime Minister. In an effort to curb such negative publicity, Israel has passed a law criminalising anyone who films or photographs security personnel during such incidents. Those who publishe such images, even on social media, face up to five years in prison. According to Haaretz, this law punishes civil and human rights organisations rather than people like Elor Azaria who can get away, quite literally, with murder. Israel kills witnesses to its crimes, or otherwise takes them out of the picture, because it doesn’t want the world to know what it is doing. This week, Palestinian journalist Lama Khatir was arrested at her home in Hebron in the occupied West Bank in a late night raid. The pictures of her leaving her children are heart-breaking. She will most likely face imprisonment, not because she has committed a crime, but simply because she is a journalist who has done her job by documenting and denouncing the crimes of the Israeli occupation. The Zionist state is anything but a benign presence in the Middle East. 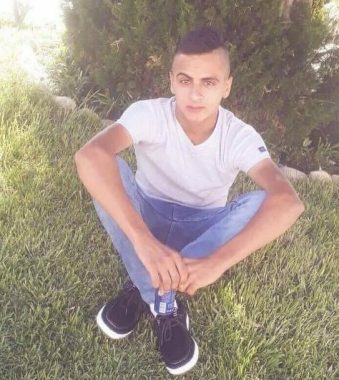 Several Israeli army jeeps invaded, Wednesday, the al-Khader town, south of the West Bank city of Bethlehem, and abducted a teenage boy from his home. Ahmad Salah, the coordinator of the Popular Committee against the Annexation Wall and Colonies in al-Khader, said a few army jeeps invaded the town from several directions. He added that the soldiers stormed and violently searched the home of Khader Abu Ammouss, near Solomon Pools area in al-Khader, and abducted his son Mohammad, 17. On Wednesday at dawn, the soldiers abducted thirteen Palestinians from their homes, in several parts of the occupied West Bank. On Wednesday morning, the soldiers invaded Jabal al-Baba Bedouin Palestinian community, southeast of occupied East Jerusalem, and demolished a kindergarten and a women’s center. Israeli soldiers abducted, on Monday night after midnight, a Palestinian man and his wife from their home in the al-‘Isawiya town, in occupied East Jerusalem. The two were taken prisoner when the soldiers stormed their property, just minutes after they returned home, and were moved to Salaheddin Police station for interrogation. The Palestinian man, Waseem Obeid, was released after being interrogated for several hours. He said that the soldiers refused to release his wife, under the allegation that she is staying in Jerusalem (with her husband) illegally. His wife, Ibtisam, 35, was transferred to Ofer prison and interrogation center, near Ramallah, in central West Bank. 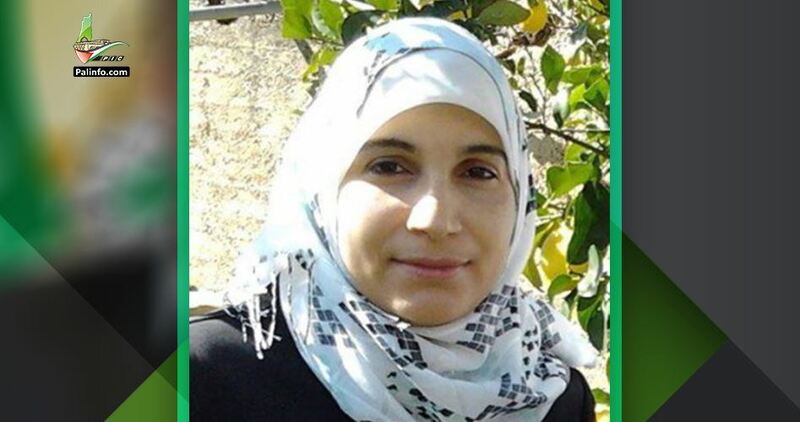 In late March of this year, the soldiers abducted Ibtisam from her home in Jerusalem, and detained her for several hours, before releasing her at Za’ayem military roadblock, outside of Jerusalem. Obeid, a native to al-‘Isawiya in Jerusalem, said he married Ibtisam, 16 years ago, and that they have been living with their children in their home in al-‘Isawiya since then, but Israel has been refusing to grant her a permit to stay in the city, under various vague allegations, due to Israel’s illegal policies against granting family unification to spouses of Jerusalemite Palestinians. It is worth mentioning that the soldiers abducted, on Tuesday at dawn, 14 Palestinians, including an Palestinian author and mother, in several parts of the occupied West Bank. Among the abducted Palestinians are a father and his son in Umm ash-Sharayet area, in Ramallah; their names remained unknown at the time of this report. The soldiers also invaded a building in Abu Qash village, north of Ramallah, in an attempt to abduct Yahia Rabea’, the head of Birzeit University Students’ Council, but could not locate him.